Marc Oromaner has over eighteen years of experience in television and advertising. If simply watching TV and advertising counted for anything, he’d have a lot more, but alas, this hasn’t impressed many people. 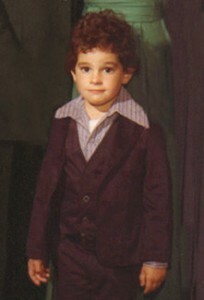 Marc began his advertising career as an assistant media buyer at Ogilvy & Mather in New York. Here he learned how to review contracts, work with TV station representatives, and most importantly, that he didn’t want to be a media buyer. So, he decided instead to work for his oldest and dearest friend, television. This brought him to CBS News as a production assistant, then to Lifetime Television in their promotions department, and then back to CBS News as an associate producer. After about four years of this, Marc decided what he really wanted to do was write, so, he did the logical thing any aspiring writer would do—voiceovers. Apparently, voiceovers don’t require much writing, but then Marc realized that a job as an advertising copywriter would, so he became one of those. Being a copywriter was really, really fun until the dot-com bubble bust in 2000. Unfortunately, this was exactly when Marc began his copywriting career. Thinking that perhaps he wasn’t made for this world after all, Marc delved into the world of spirituality. During his studies, he began to vent his frustrations by writing a novel called The Layman’s Answers to Everything. After 2,000 pages, Marc realized that his first book should probably be somewhat shorter. That’s when he wrote a 180 page book about his favorite TV show, Lost. 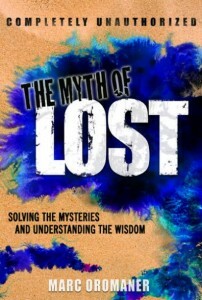 Titled, The Myth of Lost, the book offers a simple solution to the rather complicated show and reveals how its mysteries can help solve the mysteries of life. Marc has used the book’s wisdom himself and now seems to have a much better grasp on his destiny. Marc writes a column titled “Lost in Myth” for the Doc Arzt Lost Blog and When Falls the Coliseum after each new episode of the show and whenever else he’s feeling mythologically inspired. He also writes his own blog, The Layman’s Answers to Everything based on the yet-unpublished book of the same name. The blog features Marc’s humorous and insightful observations about secret messages hidden in TV shows, movies, and music that offer clues to the meaning of life and our own personal place in it.